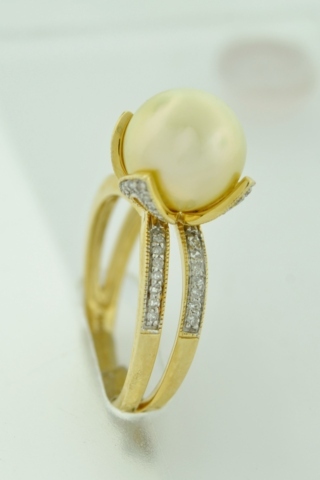 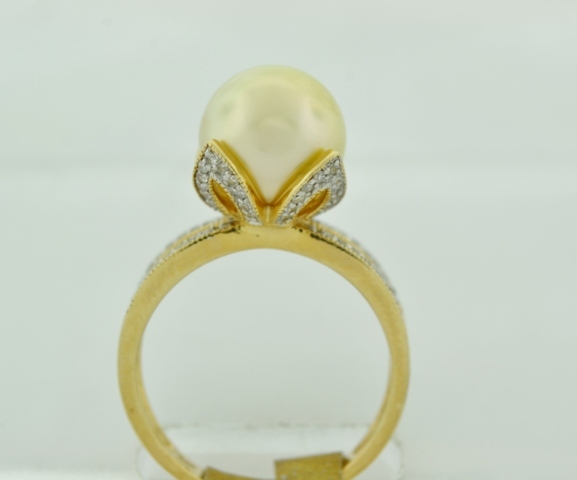 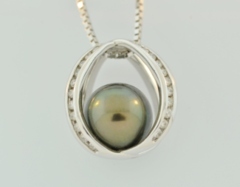 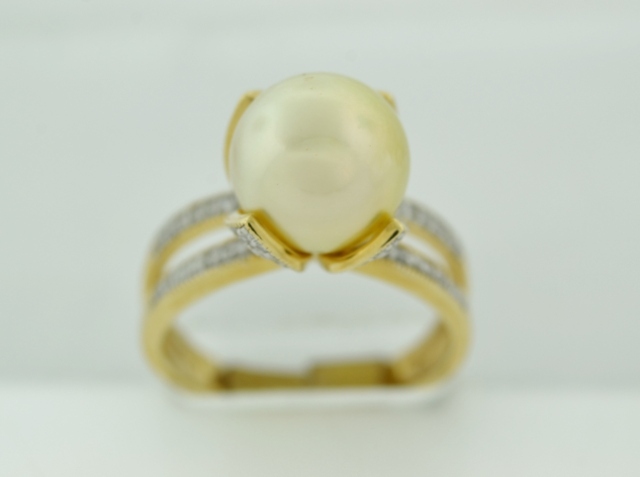 The center light golden pearl has good luster and nacre, AAA grade, measures approximately 10mm. 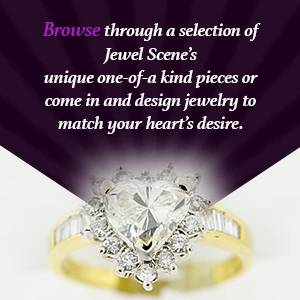 There are 72 round pavé-set diamonds weighing 1/2 carat total. 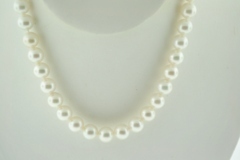 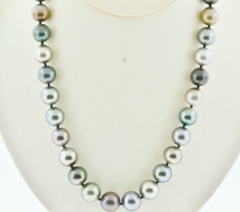 Tahitian Peal Necklace Grade B, 18in. 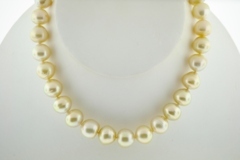 Baroque Golden Pearl Necklace, 17in.